If you want to find some general information about the Embryonic breathing read the previous post. In this post I will describe Embryonic Breathing and its energy aspect in regards with Bagua or Eight primary energies of the nature. When we are born we enter into a stage of Post-heaven Bagua wheel or a Post-heaven Bagua nature. We will start to grow and develop, but as soon as we are born we start dying. What happens on the level of energies is very well represented in Pre-heaven and Post-heaven baguas. Before we were born we were connected with Heaven and Earth, and we were in complete harmony with nature. 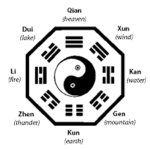 Now, after we were born things have changed and our Bagua wheel was rearranged and we lost our direct connection with Heaven and Earth. We started to live, but when you live you are also dying. But this is important, because it gives us the opportunity to experience things on the physical level or in the body. We need this process in order to have an experience from physical perspective. We have fallen in a “limbo”.What happened is that Qian and Kun, which are trigrams or energies of Heaven and Earth were replaced by Kan and Li. These two are Water and Fire. Now these two are in constant battle, dance, dialogue and movement. And these couple is being connected in our middle Dantian. When they are united in the middle Dantian you create in this physical world. You create, you think, you express. But we live in this constant duality and harmonization, which will never come to an end. It’s a game. All of it. All that is materialized is the consquence of this action. You can think and care deliberately, but most of people do it automaticaly and unconsciously, at least the majority of time. This is how we develop, grow, learn, ache, feel, connect, dream, care, procreate, create and die. We become as one with this process, but we are not this process, and we are not Kan and Li. 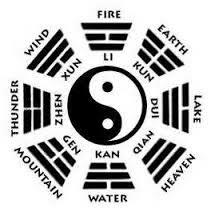 When we die, the cycle of Post-heaven Bagua ends and we enter into a Pre-heaven Bagua, which neutralizes all energies and brings us back into a deeper harmony with nature, we are reunited with our ancestors, we are Whole and we become Light again… the water and fire have done their job, we are home again. Why is this all important to know? Well if I want to explain to you why is Embryonic breathing important I need to explain few things before. As I mentioned before, when we are born we start to live in a new harmony which is lesser than the one before, by which we were being created in the womb, or Pre-heaven Bagua. I know that some of you might be hearing this for the first time, but stay with me for just a while. What if I would say to you that there is a way to return to that natural cycle or more harmonious cycle and that good feeling state of your nature. Yes, that way is the Embryonic breathing. At least from the Taoist’s point of view. When you start to practice Embryonic Breathing you will focus on Upper Dantien and Lower Dantien at the same time. You will also have your Chong Mai vessel in your awareness. This process will start to separate the Kan and Li in your Middle Dantien and start to disconnect you from your »reality« or illusion, as is called in India. That is why you should be meditating and have your eyes at rest. Don’t deny what is happening, don’t try to escape, just observe and breathe. Kan will drop down and transmute to Earth, Li will go up and transmute to Heaven. Jing from lower Dantian will start to transmute and raise through you Chong Mai to your brain and nourish your Brain and Shen/Spirit, which resides there. You need to be patient. Many things might change in your perception. In one moment things might seem crazy, and you might see »crazy« things for some short period of time, while you are meditating. But this will be just temporary. 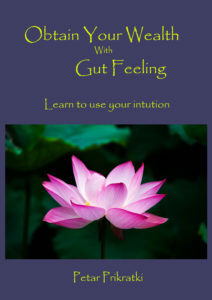 Your energy field needs to accomodate to a new harmony. Do not be afraid. Just breathe. Things might also hurt – as you know truth hurts. When you separate yourself from an illusion and detach from some belief or images it hurts, but on the other hand you are freed from the long lasting burden and this realization might hurt. Do not worry, you will still be you. You will stay yourself. You will just feel different, connected to your broader nature and Tao. 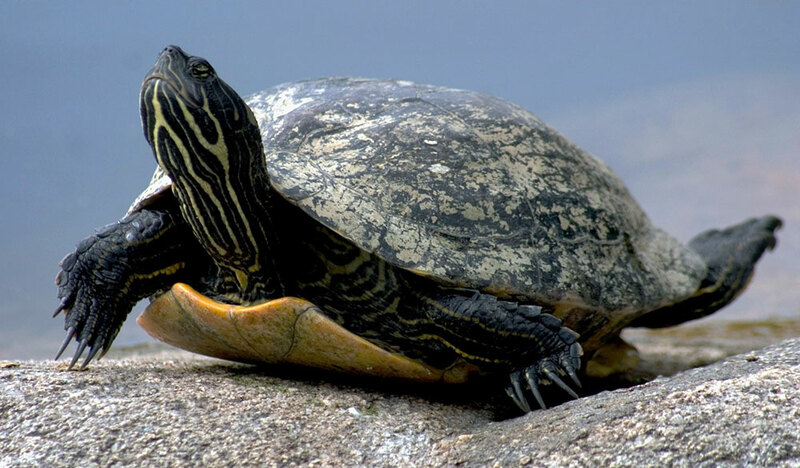 Taoists used to call this way of breathing back to a nature breathing or “out from a square” breathing. Square represented the Human society. One method of detaching from it was meditation and embryonic breathing. Taoists emphasised enlightenment, but did also much for the cultivation and preservation of the body. They observed and studied body’s nature and movements and developed different techniques. If you were reading carefully, I am showing you a way to the ultimate freedom, state of enlightenment and to what is called in India Nirvana. It’s a Way, it’s not a state, remember that. You can get there but you also live. Therefore, you always get out of and back into harmony, that’s a nature of life and experience. I do not say this is the only way. I do not say this is the thing you should do. I am just humbly sharing this knowledge that was passed to me, and is the highest form of Taoist inner cultivation that I have experienced and was taught (until now). Be cautious, though! The simplicity of this technique shouldn’t be taken lightly, as I said before, you should start with cultivating normal abdominal breathing, gradually go to reverse and after your reverse will be soft, gentle and natural go and start embryonic breathing. 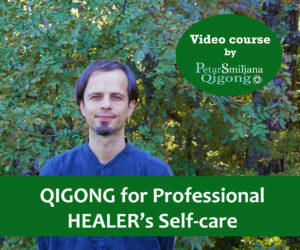 Most of you though will probably want to have some experienced teacher present, who will guide you through the process, help you with his knowledge, encourage you to feel energy field and start working with it.